Trusted Reviews and Listings of Safe USA Online Sportsbooks and Casinos for US Citizens. Tag Archive | "2015 Dancing With The Stars Season 20 Odds"
2015 Dancing With The Stars Season 20 Odds and Predictions: DWTS Season 20 Vegas Favorites: Season 20 of Dancing With The Stars will premiere on ABC television on March 16th, 2015 and the vegas oddsmakers have released the early betting odds to win this upcoming season. The vegas sportsbooks have installed Nastia Liukin as the 3/1 odds favorite to win Dancing With The Stars Season 20. Liukin is is a retired Russian-American artistic gymnast that was the 2008 Olympic individual all-around Champion, in addition to also being the World Champion on the 2007 and 2005 balance beam as well as being the 2005 World Champion on the uneven bars. To say it mildly she is a phenomenal athlete that is more than capable of winning Dancing With The Stars Season 20 and is clearly the right choice to be the vegas betting favorite this season. 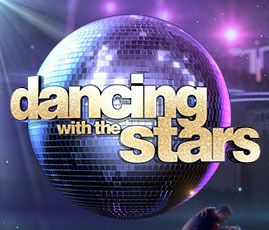 Other top contestants to win Dancing With The Stars Season 20 are Noah Galloway(4/1 odds), Riker Lynch(7/1 odds), Charlotte McKinney(9/1 odds), Michael Sam(9/1 odds), Patti LaBelle(10/1 odds), Redfoo(10/1 odds), Suzanne Somers(10/1 odds), Willow Shields(12/1 odds), Rumer Willis(14/1 odds) and Robert Herjavec(16/1 odds). keep in mind that these betting odds are the early odds to win Dancing With The Stars Season 20 from top-rated online sportsbook BOVADA and these betting odds will change and fluctuate as the season begins and contestants are eliminated and/or showcase their abilities to be greater or worse than expected. We encourage you to bookmark this page for LIVE updated 2015 Dancing With The Stars Season 20 Odds as we have provided a LIVE odds feed from BOVADA below the opening DWTS Season 20 odds below. If you want to bet on any of the DWTS Season 20 odds, than all you have to do is click on the BOVADA Sportsbook link below and open up a free sportsbook account and deposit funds to bet on Dancing With The Stars Season 20. Good luck! 2 EASY STEPS to BET on the 2015 Dancing With The Stars Season 20 Odds! STEP 2: Deposit with Credit Card, Money Transfer or Deposit by Check and get a 50% BONUS upto a FREE $250 BET instantly FREE.